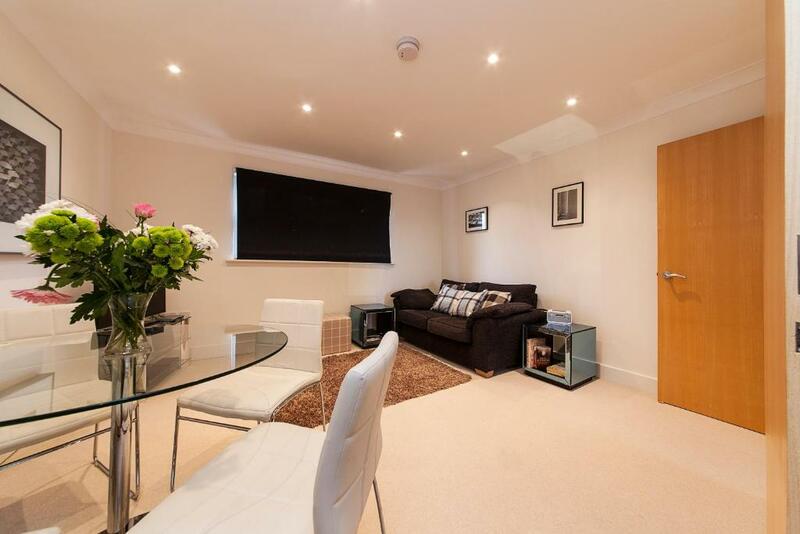 Lock in a great price for CB1 Apartments – rated 9 by recent guests! 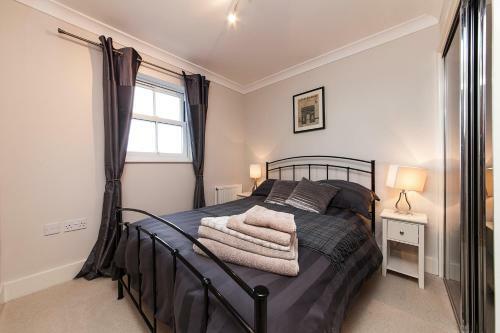 This luxury serviced apartment is located in the historic city of Cambridge, a 10-minute walk from the shops and eateries of the Grafton Center. It has a secure underground car park that guests can use for free, and offers free Wi-Fi. 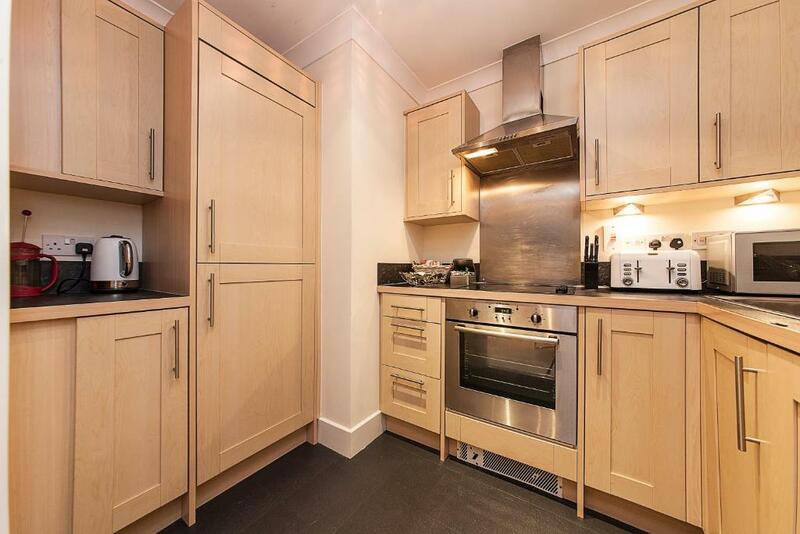 There is a fully equipped kitchen at this CB1 Apartment, with an oven, microwave, fridge and dining area. Guests can also enjoy a flat-screen TV with a DVD and Blu-ray player. 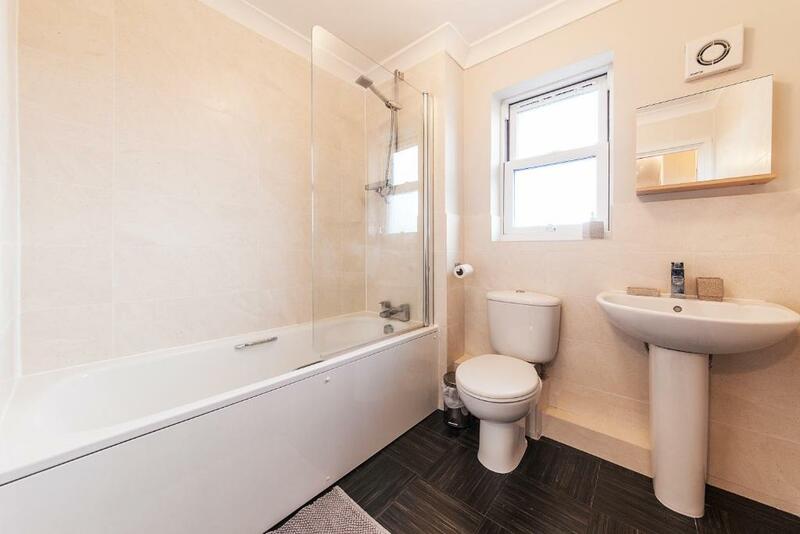 The room has a wardrobe for storage space, and there is a tiled bathroom with a bath and shower. 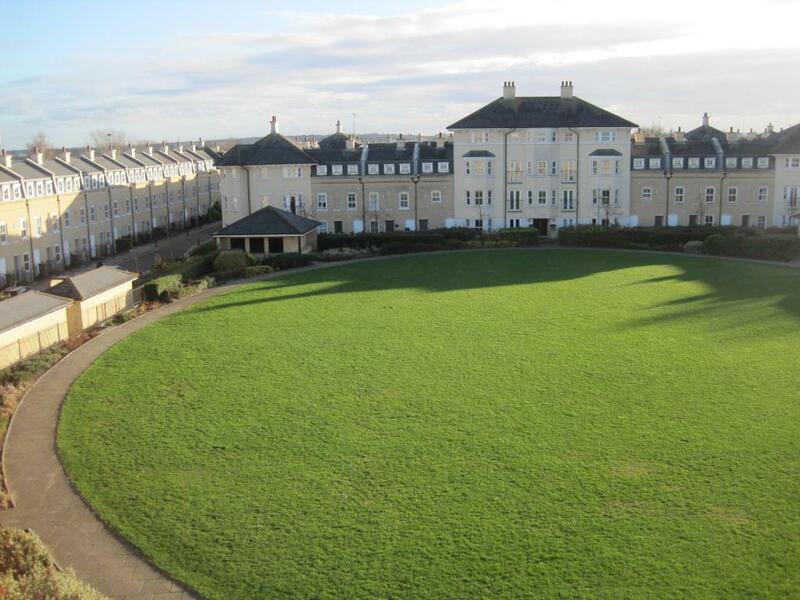 Cambridge city center, the rail station, and Addenbrookes Hospital are all within easy reach. The charming old college buildings can be reached in around 25 minutes’ walk, and there are punting opportunities on the River Cam just a mile away. 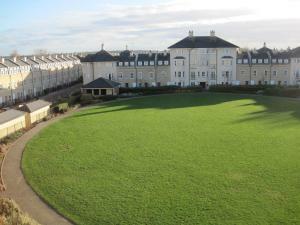 This property also has one of the top-rated locations in Cambridge! Guests are happier about it compared to other properties in the area. When would you like to stay at CB1 Apartments? 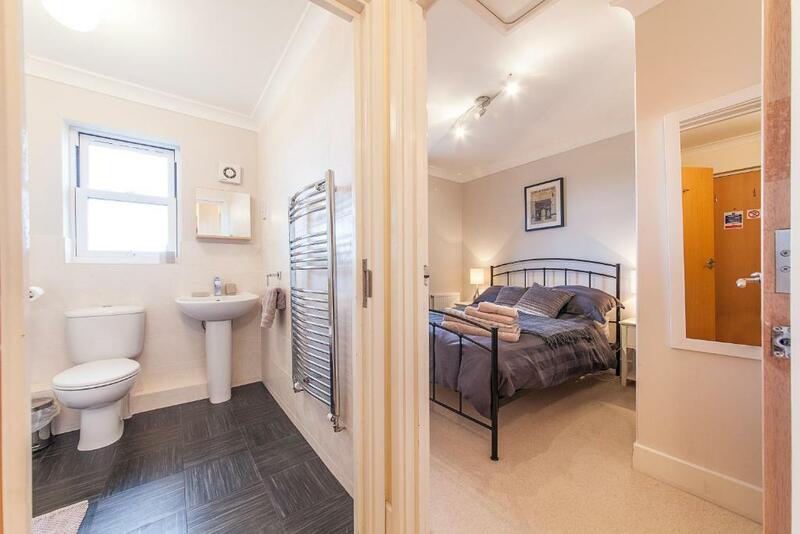 This apartment has free secure parking, free Wi-Fi, and a flat-screen TV with a Blu-ray player. There is also a fully equipped kitchen. House Rules CB1 Apartments takes special requests – add in the next step! CB1 Apartments accepts these cards and reserves the right to temporarily hold an amount prior to arrival. The apartments are strictly nonsmoking, and a fixed penalty of GBP 100 will be charged to guests who smoke on the premises. 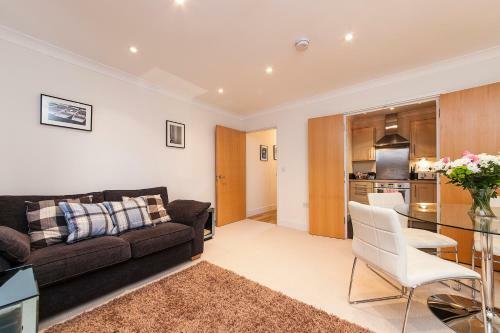 After the booking has been confirmed, CB1 Apartments will contact guests to arrange key collection, which is at a different location (on same street as the apartment). You will be issued with one set of keys. If the keys are lost there shall be a charge of GBP 50 for replacement. If the car park key is lost there shall be a charge of GBP 50. On the day you leave the keys must be returned to the office by 10:00. There is a penalty of GBP 50 if keys are returned late. 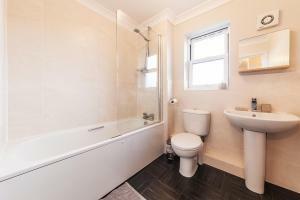 The property and all equipment must be left clean, tidy and free from any damage at the end of the rental period. The hirer will be responsible for any damage to the apartment or its content, except in the case of normal wear and tear. If the apartment needs an excessive clean, the charge will be GBP 100. Guests are welcome to leave their luggage in the hotel's office before check-in, or after check-out. Guests are asked to arrange this with a member of staff before arrival. Please inform CB1 Apartments of your expected arrival time in advance. You can use the Special Requests box when booking, or contact the property directly using the contact details in your confirmation. Nothing really. The flat is on the third floor with no lifts which for us was not a problem. Our host offered to help carry up our cases which was kind. Really friendly and helpful host. 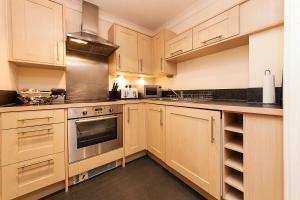 Beautifully furnished flat, quiet and close to amenities. Easy to hire bikes which for us was the best way to discover Cambridge. Very safe secured underground parking. A nice touch was the goody box including wine!